After "hibernating" for much of the winter season, we can finally bask in the sun with family and friends for a few months of summer. 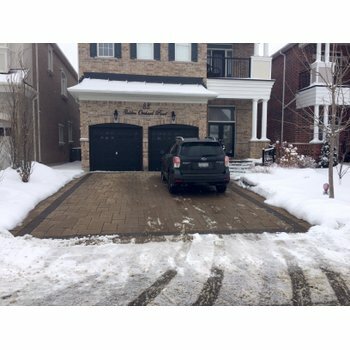 However, on days that are rainy or too unbearably hot to go outside, it's the perfect time to take care of a few minor home renovations. When the weather perks up again, though, you'll want to be right back outside. That's why we've identified four radiant heating projects that you can start and finish in just one afternoon. These projects will prepare your home for the cold weather ahead without you having to break through any floors or walls. 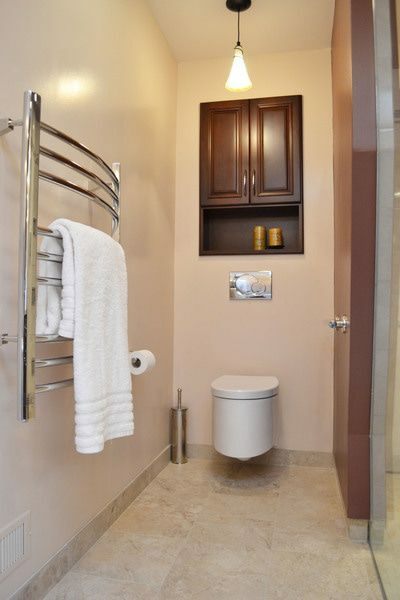 Installing an electric towel warmer in your bathroom adds luxury and comfort to your room year-round. During the warmer months, it will stylishly showcase your towels. During the colder months, it kicks into high gear to deliver toasty warm towels after every shower or bath. WarmlyYours offers seven different models of towel warmers to suit a wide range of needs. The most popular model, the Infinity towel warmer, is available in hardwired or plug-in versions. It boasts a brushed stainless steel finish and 10 bars. WarmlyYours also offers three other hardwired models and three other plug-in models. 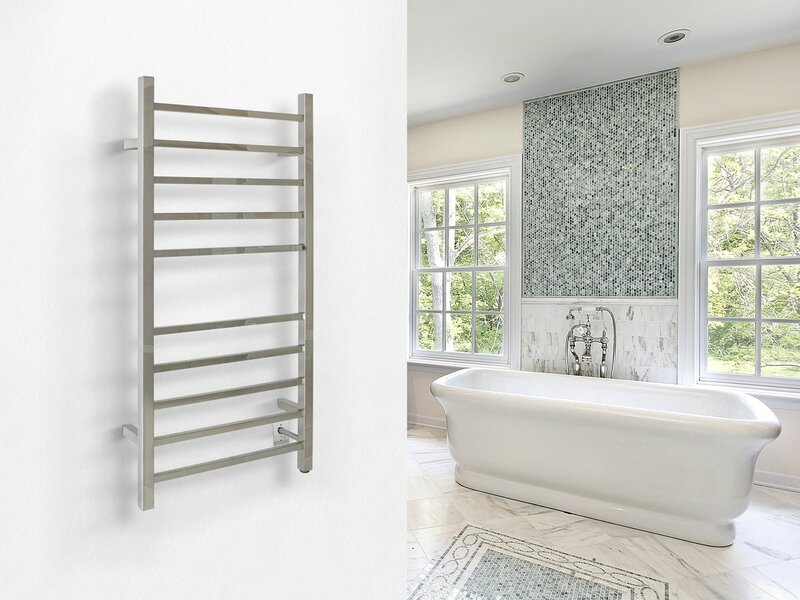 The Riviera towel warmer, which features a modern curved bar design with nine bars. It is available in polished and brushed stainless steel finishes. The Sierra towel warmer, which offers a polished stainless steel finish with eight bars. The Metropolitan towel warmer, which is the largest towel warmer in WarmlyYours' portfolio. It has a polished stainless steel finish and 10 bars. The Barcelona towel warmer, which is the only freestanding model that WarmlyYours offers. It boasts a brushed stainless steel finish and eight bars. The Elements towel warmer, which features a unique serpentine design and a polished chrome finish. The Studio towel warmer, which boasts six curved bars and a polished chrome finish. Each of these towel warmers can be installed in a bathroom in only a few minutes. 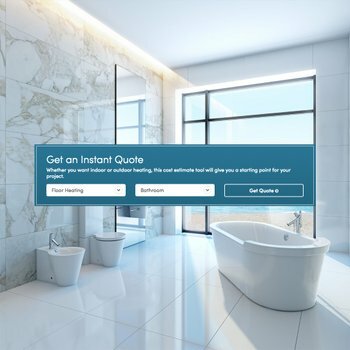 Plus, the installation manual that comes with the product will walk you step by step through the process so that your installation goes as smoothly and quickly as possible. 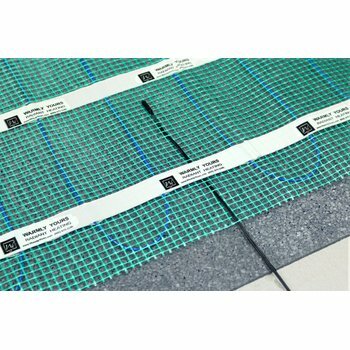 Radiant heating accessories aren't only for bathrooms. 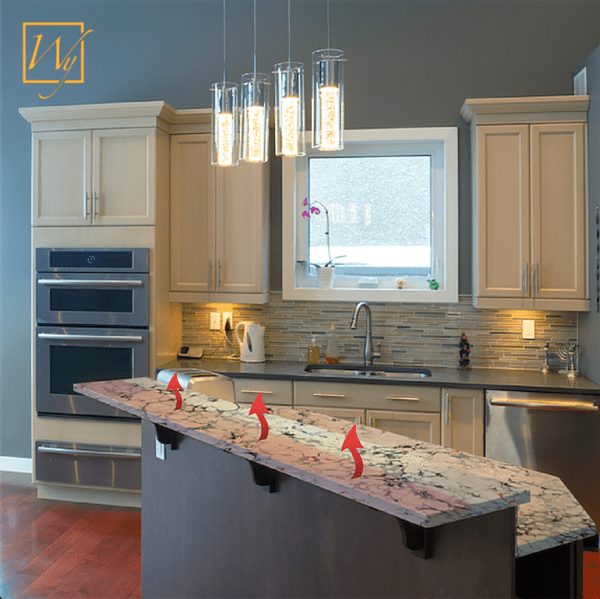 Homeowners can easily warm up their kitchen counters by installing countertop heaters. WarmlyYours' FeelsWarm® countertop heaters are available in standard and custom sizes to fit underneath any overhang. Best of all, installation simply consists of adhesion to the bottom of the countertop and plugging the unit into an outlet. With an ultra low profile, these heaters are so thin that they're virtually invisible under the countertop. Yet, you'll definitely be able to feel the heat they emit! The heaters have the ability to warm your countertop surface an additional 20-25 degrees. For steam-free bathroom mirrors, WarmlyYours offers ClearlyYou™ mirror defoggers. These accessories were previously only available in spas or luxury hotels but now can be found in the comfort of your own home! Similar to our countertop heaters, these mirror defoggers simply adhere to the back of the mirror. However, you will need to install an electrical junction box in line with the mirror defogger's lead wires in order for it to function. ClearlyYou™ mirror defoggers are available in a variety of sizes in rectangle, circle or oval shapes to suit your particular mirror. They work by transmitting gentle warmth across the surface of the mirror to prevent steam from collecting on the mirror while you bathe or shower. A lesser-known heating accessory for the home is the radiant panel. These panels got their start overseas but are growing in the North American marketplace. 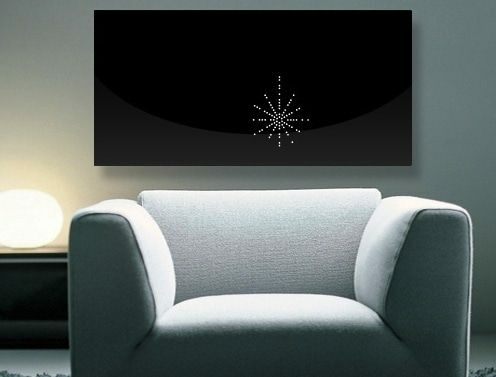 They function by mounting to a wall — just like a picture — and emitting radiant heat into the room. WarmlyYours offers two lines of radiant panels: Ember® and LAVA®. Ember® panels are the most affordable option. They are available in three different finishes — black, white and mirror — to suit the style of the room. Plus, they plug into a standard outlet, which makes installation even easier. Check out a 7-minute video on how to install Ember® radiant panels below. Hardwired LAVA® panels are a more high-end option. They are available in five different finishes — white/green, pure white, black, red and mirror — as well as a lighted mirror and Swarovski-encrusted panel. The benefit of both of these lines is that they emit clean, energy-efficient heat throughout the room without circulating dust and other allergens, like forced air systems do. They're also easy to incorporate into the design of a room since all you need is some wall space. With these four radiant heating projects, you can accomplish great renovations in just minutes! 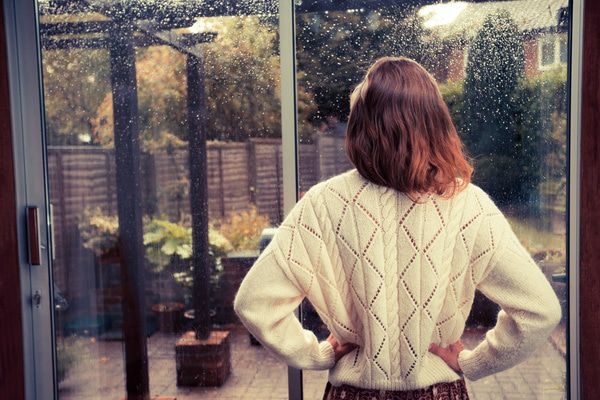 Before summer passes us by, be sure to ask yourself, "What are my rainy day projects?"